Exclusive and original, one-of-a-kind, hand-painted wine goblets, champagne flutes and martini glasses are outstanding gifts for any occasion including corporate events, award banquets, conferences and conventions. Painted on high quality glassware, these goblets, flutes and martini glasses may be scripted to include personal names, dates, notable events, or corporate achievement verbiage. Some of my most recent corporate clients include General Motors Acceptance Corp (GMAC), Lockheed-Martin Aircraft Corp, Kaiser-Permanente Hospitals, Verizon Wireless, and other major U.S. corporations. 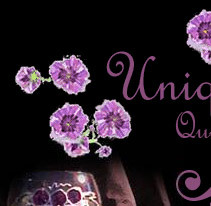 I am able to create custom designs and paint in any color to match your event theme or special occasion needs. There is no minimum order requirement. Discounts are available on quantity orders. Prices provided upon request. 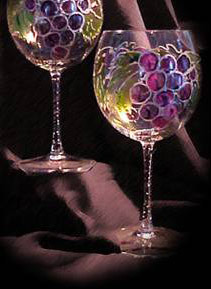 Hand-painted, personalized glassware is sold at the wholesale discounted price of $29.50 per glass, or $59/pair plus shipping. All major credit cards are accepted. I take great pride in the quality of my work and equal pride in the service provided to my clients. Over the past 17 years, I have maintained a superior replacement policy. Should you, or your clients, ever break one of my goblets, flutes or martini glasses, I will replace it absolutely FREE! 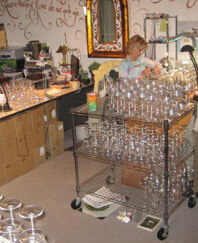 Goblets, flutes and martini glasses may be personalized with names, dates, etc.